Wish Empire Uma Aangan is a residential launch of Wish Empire, which is a true example of luxurious and prestigious living. It is located at Ajmer Road, Jaipur and offers 1, 2 and 3 BHK apartments. Constructed over an area of 2.90 acres, the site is located in close vicinity to several civic amenities. Jaipur-Ajmer Road is emerging as one of the profitable realty investment zones and it is a part of Golden triangle, which comprises of Delhi, Agra and Jaipur. Due to close proximity to the expressway, the region has gained loads of popularity by the investors, end-users and the buyers. Both residential and commercial projects are coming up around the expressway and has witnessed a rise of 12% to 15% in the last 6 months. With the advent of IT and ITES companies, there is a high demand of residential housing societies in close vicinity to these IT hubs. Ajmer Road is well-connected with the several posh areas and one of the preferred localities. Located at a distance of around 260 km from the nation?s capital, Delhi, Jaipur is witnessing an upsurge in local realty world. Jaipur is listed under smart city mission and it is expected to bring positive changes in the city. Top IT companies such as Infosys, Wipro are moving to Jaipur brining a high-rise in availability of jobs and hence the professionals are moving here. This has led to an increase in demand of residential as well as rental property. In comparison to other Tier II cities, Jaipur is offering awide range of properties at affordable price and furnished with more amenities. In which area is Wish Empire Uma Aangan located?The project is situated in Ajmer Road, Jaipur. What size of flats are available in Wish Empire Uma Aangan? 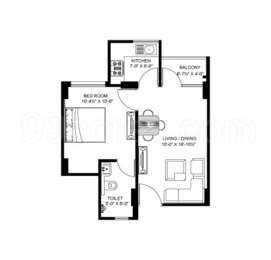 The apartment sizes in the project vary from 542.0 sqft to 1615.0 sqft. How much is area of 2bhk in Wish Empire Uma Aangan? Two-room units (2BHK) in the project are available in an area of 781.0 sqft to 1086.0 sqft. What is size of 3 bhk in Wish Empire Uma Aangan? 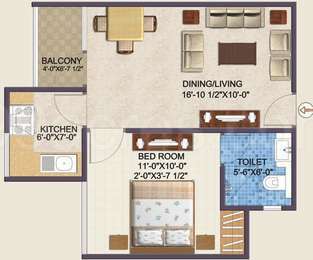 The area of 3 BHK apartments ranges from 1127.0 sqft to 1615.0 sqft. What is the total area of Wish Empire Uma Aangan?The project spans across 2.9 Acres. I have heard a lot about Ajmer Road's future potential for real estate investment. But how is the area for buying a flat for self consumption. I have shortlisted a project here - Uma Angan By Bonanza Buildtech and here possession will be given in another 6 months and a 2bhk is for 15 lacs, which is within my reach. Please give opinions on this project for living not for investing. contact me if anyone interested in this project. 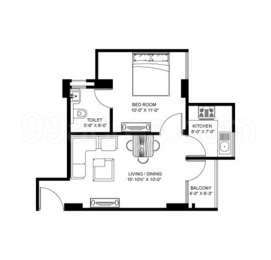 I had booked a flat and now want to sell please contact me if anyone interested.